Silverdale Village Institute – Live Music. ‘Keeping music alive – in the ‘dale’. SVI Live Music has been running for nearly 3 years where we present a variety of music styles, featuring a main act and also local artists. Events are run on a 2 month basis, always starting at 8pm, with beers and wine available. All profit goes to the SVI charity – to maintain the village asset. Doors open at 7.30pm with the performances starting at 8.00pm. Come early to avoid disappointment and to get a padded chair!! June 23 features 3 amazing acts. Sally Barker, The Silverdale Songbirds, and Cat Ogden. Sally Barker was the runner-up on the BBC TV programme The Voice. 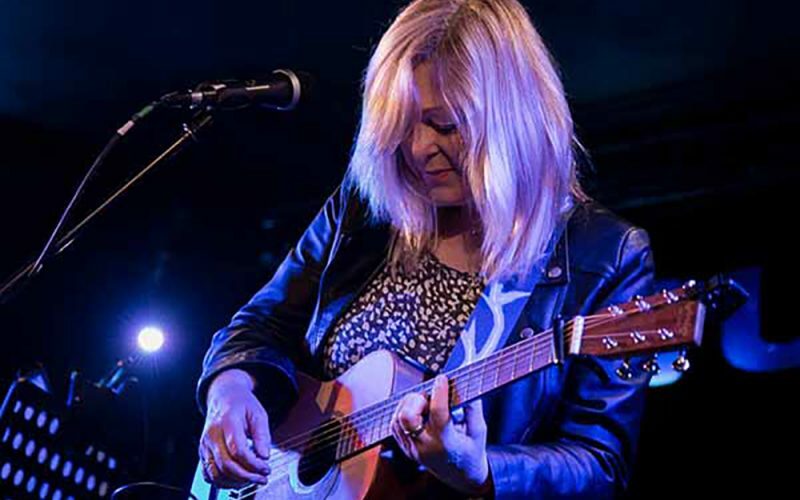 She has supported Fairport Convention, Richard Thompson, Taj Mahal and Richard Digance. Sally is also a member of The Poozies – who have played festivals throughout the world. Sally is a fantastic singer-songwriter. Truly brilliant that Sally is coming to the SVI. The Songbirds are true village gems and never fail to entertain with superb harmonies of well-known songs. Great to have them back for 2018. Cat Ogden returns to the SVI after a ‘chance-floor-spot’ where she amazed the audience with her rich and beautiful voice; great to welcome Cat back. Enjoy local sounds in between your visual feasts around the Trail. Refreshments served from 11am to 4pm to the accompaniment of Silverdale Strummers, Silverdale Youth Players and Kader Jazz from 1pm. Lunch with the ukulele, tea with Jazz. Doors open at 7.00 pm for the evening performance.